Lucy, played by Zellweger, is working her way up the corporate ladder in Miami. But she is shipped off to a little town in Minnesota to streamline a small manufacturing plant. This slick, city chick isn’t popular when word gets out that she has to downsize the company. So Lucy tries to escape both the cold and the bad situation she’s in. But the friendly townsfolk bring her back, and she is eventually drawn to their hospitality and kindness. Lucy has no time for a love life, so when she begins a relationship with Ted (Harry Connick Jr with an awful beard), she has to make the hard choices between work and love. The plot here is fairly typical, but the story moves along at quite a good pace, the comic characters are endearing, you get a few laughs, victory goes to the workers, and Harry Connick Jr shaves in the end! New in Town is a classic romantic comedy with few surprises, a terrific supporting cast, and a happy ending. I found this 2008 movie at the library and thought I’d better add it to the list. Zellweger plays Lexie Littleton, a hot-shot journalist on the Chicago Tribune in the 1920s. She meets Dodge Connelly (Clooney) when he comes to town on special business – to take professional football and his struggling team to the next level. Connelly organises a deal to have the young war hero and ex-college player, Carter Rutherford (Krasinski), play for the Duluth Bulldogs. Lexie goes along on tour with the team in order to investigate Carter’s war story. Is he really a hero, or is it all a sham? As Lexie gets to know both men, you wonder who it is that she’ll fall for – will it be Dodge who’s nearing the end of his career, or the young show-stopper Carter, who’s at the beginning of his? 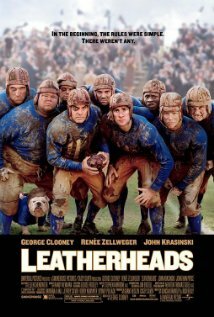 I quite enjoyed the historical aspects of this film, the beginnings of professional football. But I’m not a great fan of women being plonked into a film as the ‘love interest’. 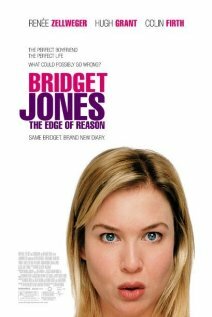 Although Zellweger did a great job as the sassy professional woman, there wasn’t a lot to engage with, and I didn’t think it was a particularly great film for Clooney. I was so non-plussed about this flick that I can’t even decide whether I liked it or not.